The World Culture Festival 2016 was a celebration of The Art of Living's 35 years of service to humanity, spirituality and human values. The festival celebrated the diversity in cultures from across the world while simultaneously highlighting our unity as a human family. An estimated 3.5 million people took part in this celebration to make it a grand success. 1. Sports - A child begins playing soon after it is born. Sports find universal appeal with everyone at all times, and bring everyone together. These five areas unite humanity everywhere in one thread. Today is such a wonderful occasion – that people from so many countries have all gathered here to send out the message to the world that – “We are all One!” We are a One World family. The Art of Living is more of a principle; a philosophy of living life to its fullest. It is a movement and not really much of an organization. Its core value is to find peace within oneself and to unite people of different cultures, traditions, religions, nationalities; thus reminding us all that we have one goal to uplift human life everywhere. It is a collective effort to bring together Bhakti (devotion), Shakti (inner strength and resolve), Yukti (awakened intelligence) and Mukti (sense of freedom) in one’s life. It is an art of uniting minds and hearts in a unique harmony. In India, we have always dreamt of the world as one family. 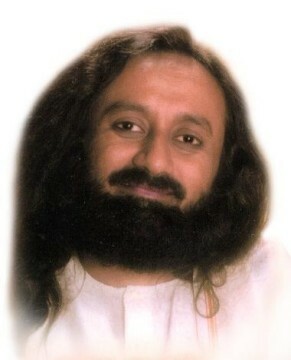 Today that dream seems to be taking shape into reality – “Vasudhaiva Kutumbakam” – we are all one. There should be no difference between our speech and our actions, no difference between what we are on the inside and outside, and our actions should be such that they bring peace and comfort to us and to everyone around us. This is why there is spirituality. It is to help one reflect within oneself and to realize that what lies within oneself is what is present everywhere also. This wave of spirituality, this wave of happiness is what we need to spread across to every nook and corner of the world. This is the one aim with which we all have gathered here today. I would say one thing to you all – whatever love and belongingness you give to the society, and to the world; you get 100 times that love back in return. It is indeed difficult to express this in words but if there is a name to the art of experiencing and recognizing the Infinity within oneself – then that is spirituality. We have to take this wave of spirituality everywhere in the world. 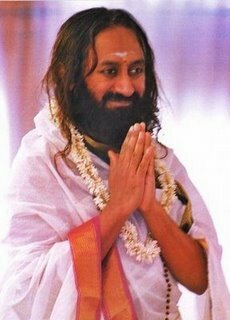 Someone said that “The World Culture Festival 2016 is Gurudev’s private party!” (Laughter) I said, “Well, yes! It is indeed, because the whole world is my family and belongs to me”. This is what Vasudhaiva Kutumbakam means, so then it is really a private party for the entire family. We always welcome the Truth. And when we do not desire anything for ourselves, then in that very moment everything and everyone belongs to us so totally. Then the entire world belongs to us. Usually we feel that there is something or the other that is lacking in our personal life, or that our personal life and public life are two different things entirely. 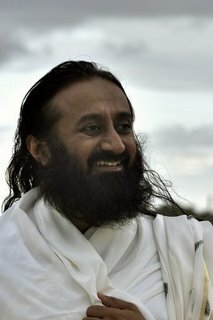 But when there is no gap, no distance or difference between our personal and public life, when there is total oneness and belongingness with everyone and everything in this world, then at once you see a light – a light of the Divine – which is the basis of this entire creation and on which this entire universe is upheld. Silence and celebration go hand in hand. We have always thought of life as a continual struggle. But it is an art to be able to transform that struggle into a grand celebration. And you all have given this festival so many unique colours of celebration today by gathering here. So many youth have gathered here today. Some visually challenged children also have come to attend this festival from Bijapur, which is so far away. Despite being visually impaired they have travelled so far to be a part of this musical celebration. It is such a beautiful occasion. There is a saying in Sanskrit, “Shreyansi Bahu-Vighnani” (Many obstacles appear for a great and noble deed). It means that when you want to do something great, something wonderful, then you will find that many obstacles come in the way. If you wish to do some wrong or a wicked deed then you do not get any obstacles. But that only indicates that we have truly undertaken a very significant and beneficial work. And the fruit that one gets after overcoming those obstacles is really very sweet. I would not speak much now. All I would say – just have this deep and unshakeable faith that ,That which is universal and timeless, That which belongs to everyone is also yours and belongs to you. This Divine knowledge, this truth which is so universal, unbound by space and time, which belongs to everyone and that which we have imbibed in our lives – we have to spread that to everyone. People have come from far and wide – right from Argentina, Mongolia, Pakistan, Nepal, etc., and I welcome you all here, and I would say that you have all come to your home. This is a spiritual home for you all. Today we are giving out a very strong message of oneness to the whole world when it is so much needed, when there is so much gap between communities, nations, between ideologies, etc. To everyone we are giving this message today that we can all co-exist with our differences, we can love each other with our differences. Diversity is the nature of this planet, so let us love this diversity. Let us all care for the environment and let us care for each other. This is the message we need to spread far and wide. We need to convey to everyone that we love Nature, it is in our very DNA. Today, we are also going to honour all the farmers who are preserving this country, this land and this very Earth. We need to promote techniques of Organic Farming, and we must all put aside the myth that you can only grow good vegetables with pesticides and chemicals. Our farmers have put an end to this myth with Organic Farming and they have grown food organically and become wealthy. One farmer said that he was making only Rs. 40,000 a year earlier. Now the same farmer is making Rs. 4 Lakhs a year by following Organic Farming techniques, and he is able to cultivate so much more food. So let us all grow more food, let us all care for our environment, for the people around us, and let us spread the message of peace and harmony through knowledge, culture, art, music and social service.